Our sister property Tahiti Village cordially invites you to its Owners Night art show this Thursday, Oct. 18, from 5:30-8 p.m. The event will feature original artwork from more than 40 local artists in the Opportunity Village Art Enrichment program. You are invited to enjoy hors d’oeuvres and live Hawaiian music, as well as mingle with and purchase art from the artists themselves. Admission is free. Proceeds from all art sold will directly benefit Opportunity Village for persons with disabilities. The event will take place inside the Tahiti Village main lobby and outdoor gazebo area. Opportunity Village’s Open Studio/Fine Arts Program encourages artists with intellectual and related disabilities to discover their talents and refine their techniques through an individualized artistic process. 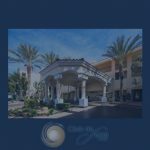 Tahiti Village is located at 7200 Las Vegas Blvd. South at Warm Springs Road. Come on down and enjoy an evening of art, food and entertainment.